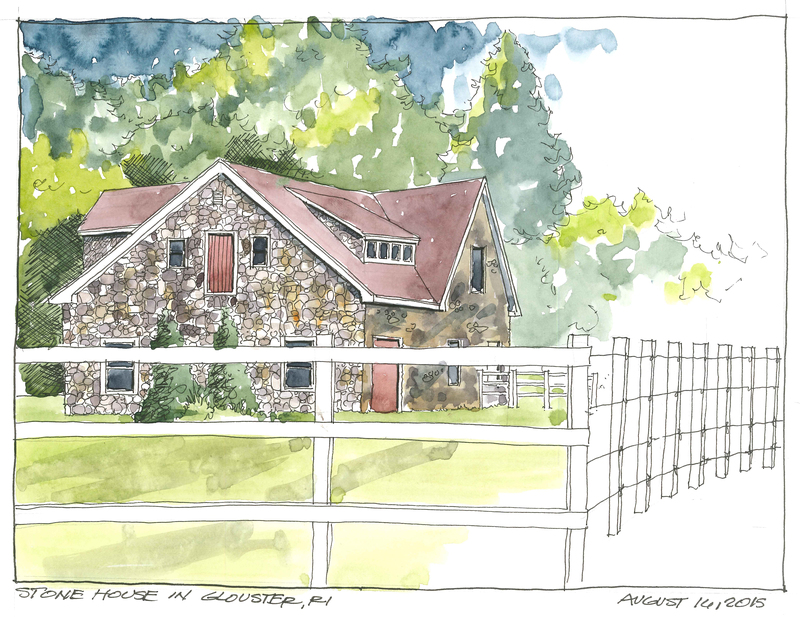 A quick sketch of a stone horse stable in Glouster, Rhode Island. Beautiful stone structure surrounded by stables and pastures. Very picturesque area also known as Apple Valley. Holbein and Mission Watercolors in a Stillman and Birn Sketchbook.